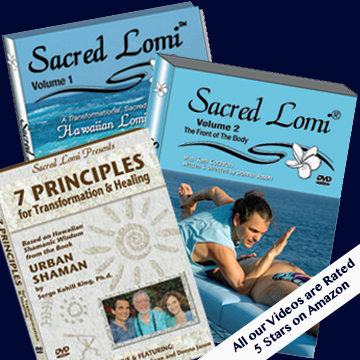 Join Serge Kahili King, Tom Cochran and Donna Jason in Hawaii as they discuss how the 7 Hawaiian Shamanic Principles of Huna apply to bodywork and healing. 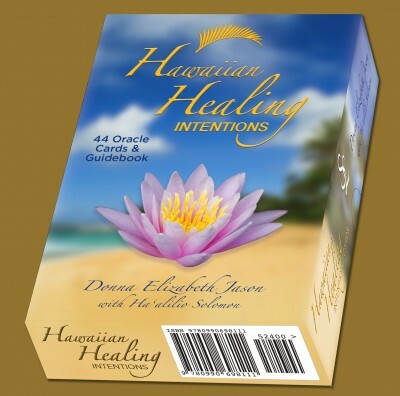 Enabled for ALL REGIONS worldwide. 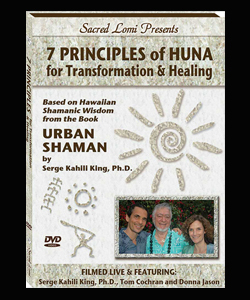 Based on the seven Hawaiian Shamanic Principles from the leading book on Huna, Urban Shaman by Serge Kahili King, Ph.D. 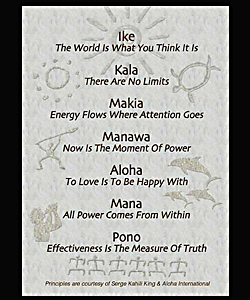 Learn the 7 Principles Chant • Receive a free 5 x 7 printed card of the principles.